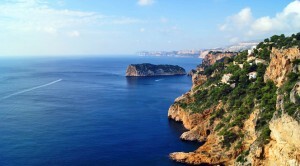 There are 3 different sections in Javea. The original Javea with its old town with narrow streets. Then there is the port area with luxury yachts alongside fishing boats and delightful street cafes. The third section is the Arenal beach. 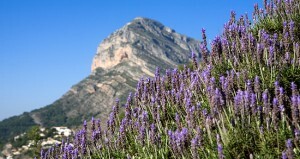 The most famous feature in Javea is the mountain “the Montgó” Javea´s habitants swear it’s an elephant turned in to stone. You can even see the elephant’s eye close as the sun goes down. 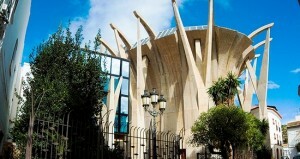 The historical heart of Javea is the church of Sant Bertomeu. One of the inner walls is from the year of 1244. Year when the Spanish king Jaime the Conqueror defeated the Moors. In the port you will find the church of Nuestra Señora de Loreto, built after the survival of local fishermen after a storm as a thank you. The church is beautiful in it’s simplicity unlike a normal Spanish church which is anything but simple. South from Arenal beach along the coast road you will find 2 pebble beaches, Portitxol and Granadella, set in wonderful scenery and well worth seeing. If you are staying in Arenal do not miss out of going to the port and the old town. Both areas completely different from each other. The old town is still uniquely Spanish with its narrow streets. The weekly market is on Thursday morning. 1. The Fogueres de Sant Joan in the middle of June is one of the most famous fiestas in Javea. 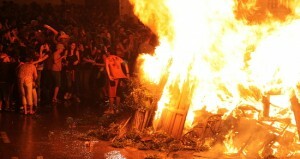 2.The fiesta goes on for several days and finish with the burning of huge papier mache effigies in the old town. 3. The effigies give a satirical view of the political and social issues of these times. 4. 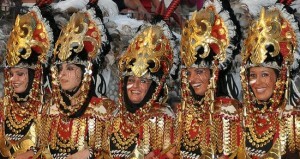 The Moors and Christian fiesta takes place in mid July. Colourful and noisy parades through the streets.